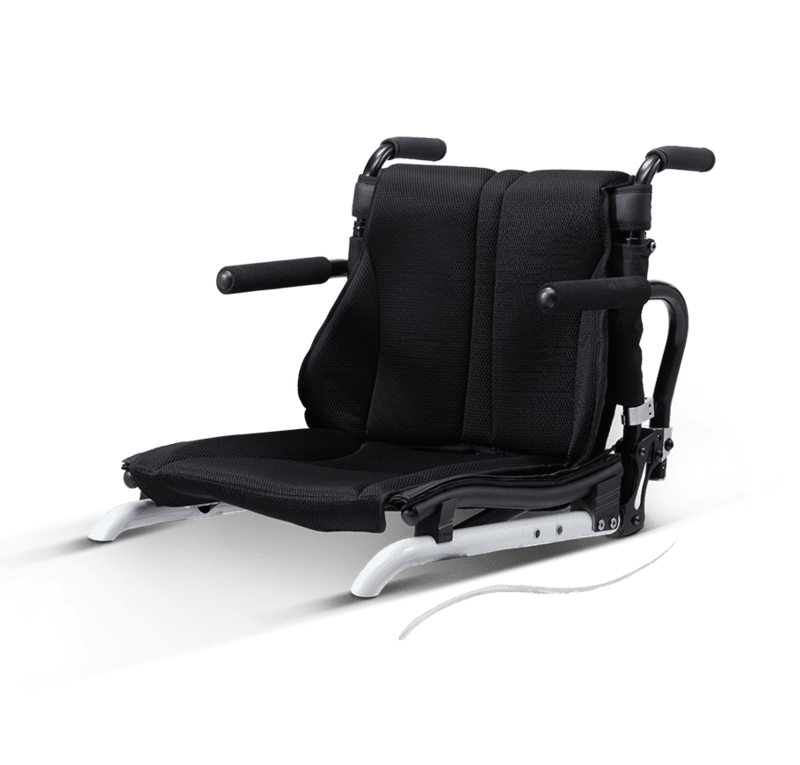 The Ergo Live (KM-9000) is a self-propelled wheelchair, designed to provide comfort and superior handling. 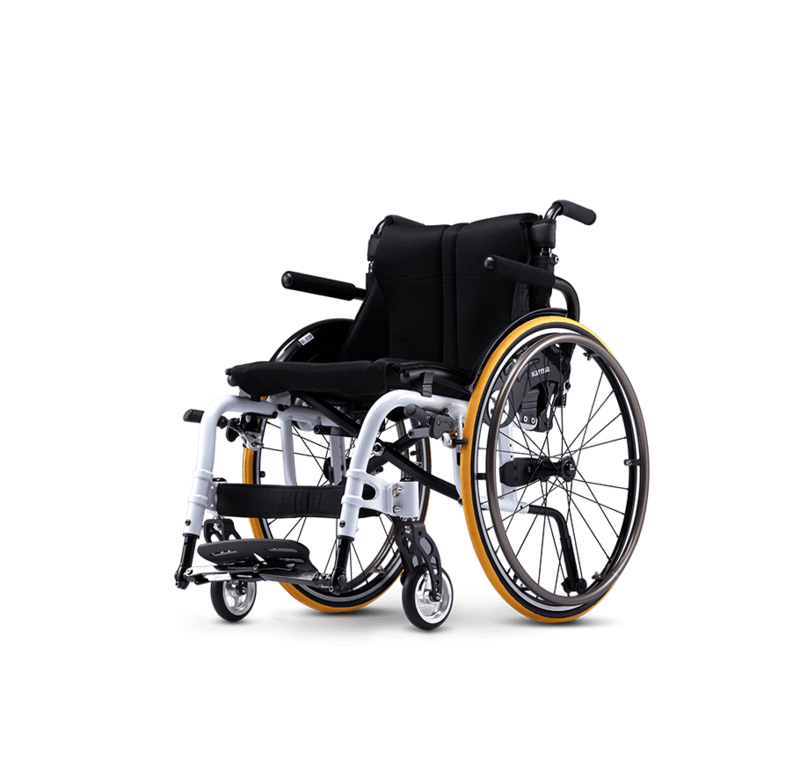 Its main feature is the adjustable rear axle position, which can optimize the stability, control, and maneuverability of the wheelchair. 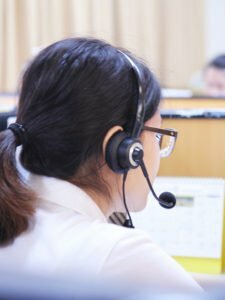 The Ergo Live is also available with several different options and is equipped with several adjustable features to meet the requirements of the user. The seat is available in several different sizes. 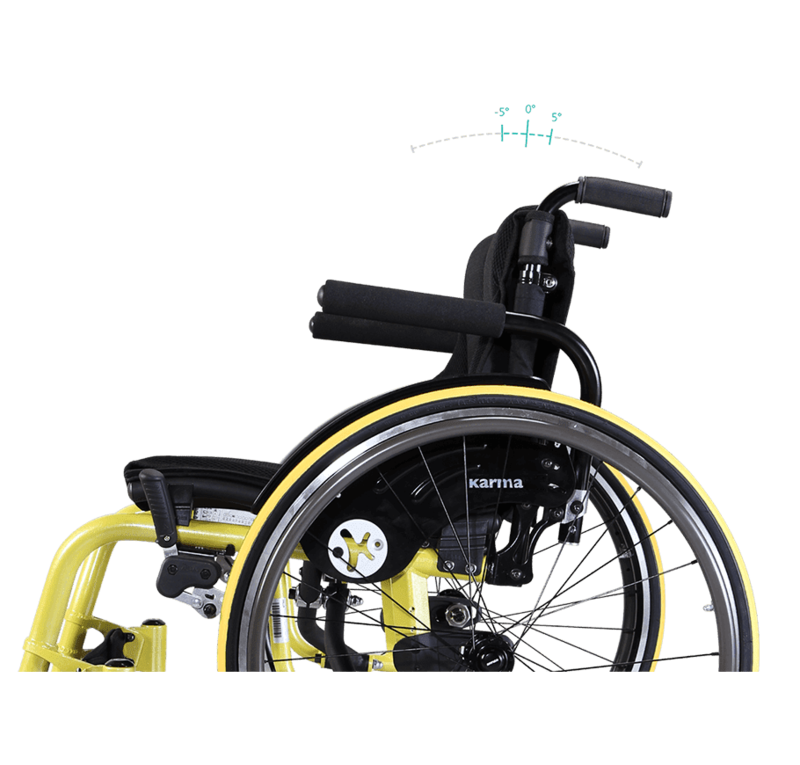 The rear axle position, seat height, backrest height and angle are all adjustable to fit the user’s requirements. 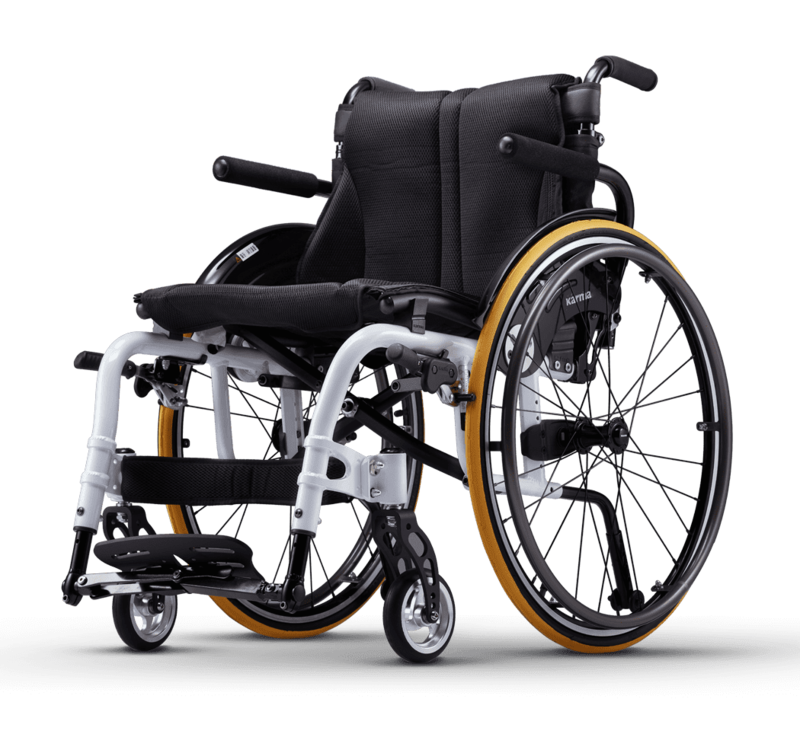 By changing the position of the rear wheel axle, you change the center of gravity of the wheelchair, and thus changing the performance of the wheelchair. Moving the rear wheels back will increase the base area, therefore making the chair most stable. Moving the rear wheels forwards will decrease the base area, allowing caster to roll and swivel more easily. The ideal position is based on the individual’s weight, height and strength. 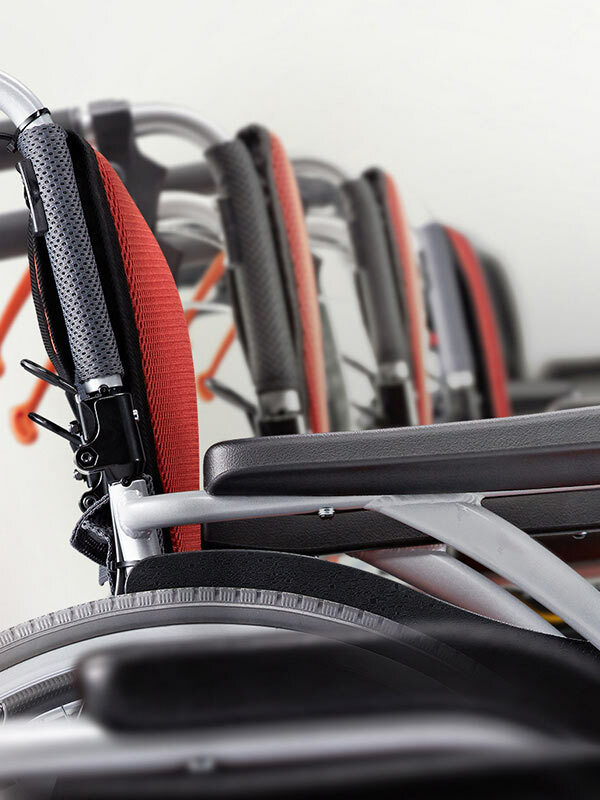 By changing the center of gravity, the Flexx can be configured to meet the preference of the user. 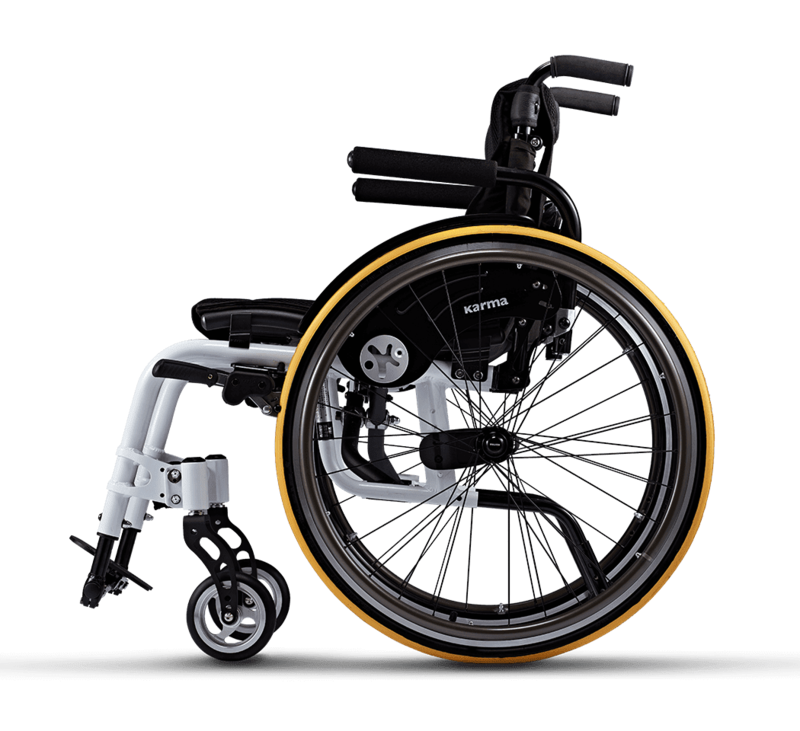 By changing the position of the rear wheel axle, you change the center of gravity of the wheelchair and thus changing the performance of the wheelchair. Moving the rear wheels back will increase the base area, therefore making the chair most stable. Moving the rear wheels forwards will decrease the base area, allowing the caster to roll and swivel more easily. The ideal position is based on the individual’s weight, height, and strength. By changing the center of gravity, the Ergo Live can be configured to meet the preference of the user. The angle of the backrest can be adjusted to three different angles. 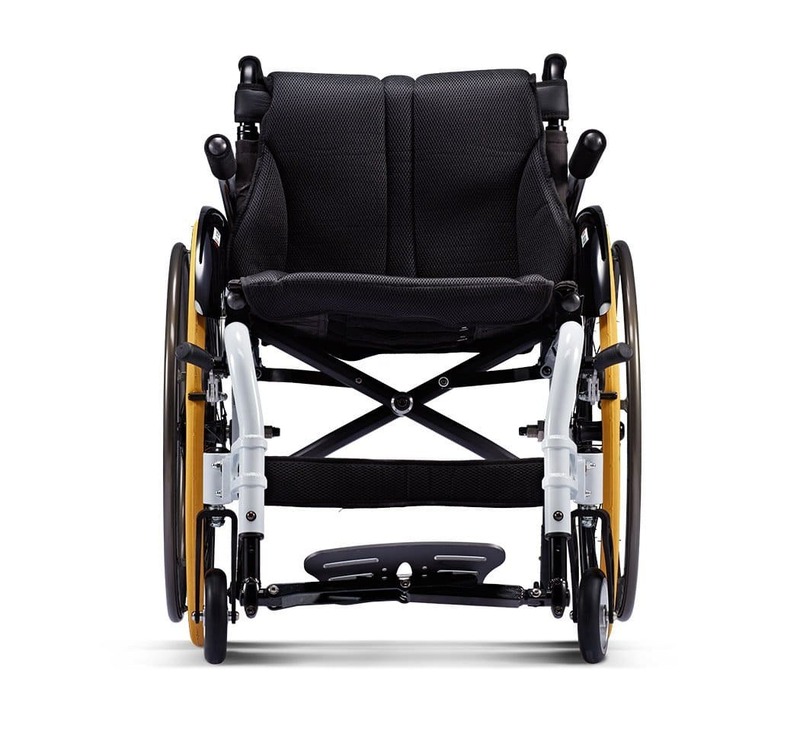 The tension adjustable backrest allow for tension adjustment to fit the contour of the user’s back. The backrest is available in two sizes. The small option has a height adjustment range from 13” to 16”. The large option has a height adjustment range from 16” to 19”. The castor fork is available in four different sizes. Depending on which castor fork, the height of the seat can be adjusted from 17.5″ to 20″.